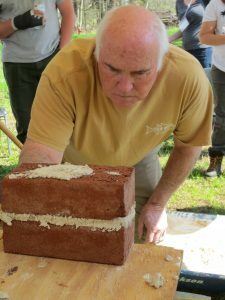 Jimmy Price, founder of Virginia Lime Works and Price Masonry Contractors, will be offering a 3 day workshop in Madison Heights, Virginia on July 24-26, 2018. Jimmy’s work and knowledge of the production of building lime from oyster shell and the conservation of historic masonry is respected around the world. These workshops will be limited to 7 participants to allow for one on one instruction.